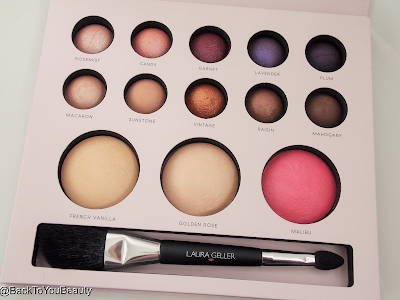 If ever there was a brand of make up, that really cares about its customers, it is Laura Geller. Born and raised in New York Laura’s passion and enthusiasm for make up and people is evident from the moment you pick up one of her products and apply it. As a hugely successful Make up artist working on Broadway, Film and a succession of celebrities, what this lady doesn’t know about make up isn’t worth knowing!! She was highlighting before the phrase “On Fleek” was ever a collection of letters to string together. However, it was Laura’s passion to share these trade secrets and tips with the everyday person that have taught us that make up should be fun and easy. Laura gives us the tools to create a more youthful, polished, awakened version of ourselves. Something I wholeheartedly believe in! With a vast range of products available all over the world and in the UK including in top Department stores such as Debenhams the Laura Geller range is highly accessible, but it was her launch into Television shopping Via Qvc over 20 years ago that made people fall in love with her. Here she is always on hand to show how to use and apply her products in the fastest and best way possible. 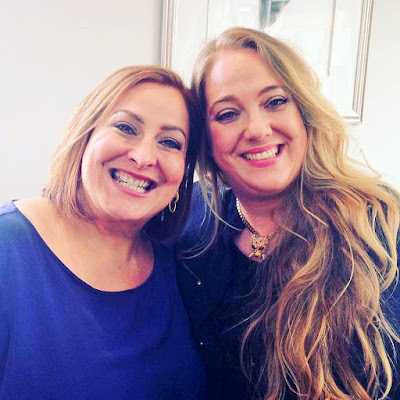 As I have been fortunate enough to meet Laura, chat make up, family and pull funny faces with her, I can honestly say… Its not just her name behind the brand. It is her heart, soul and passion. 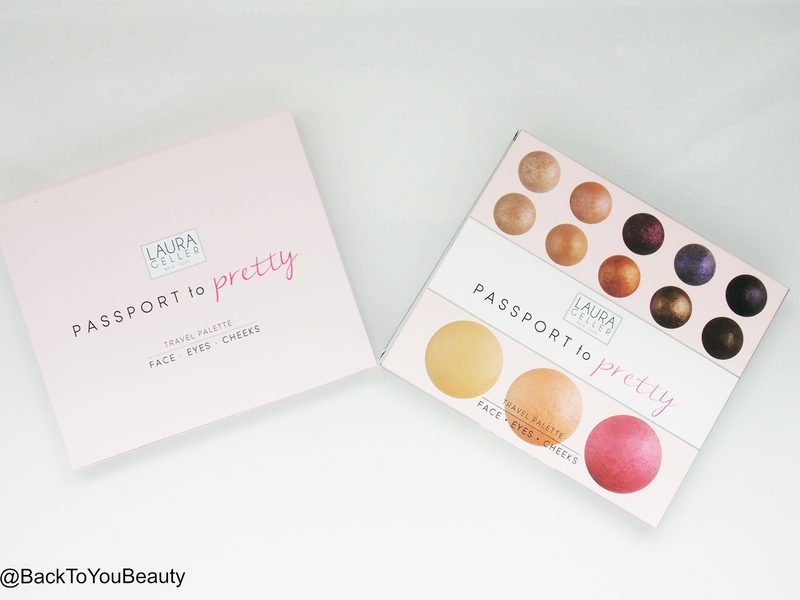 I will be bringing many more Laura Geller Products to the blog but today I just wanted to wax lyrical over my love for this absolute must have PASSPORT TO PRETTY palette. This is your one stop summer, palette. It is so portable for holidays, handbags and travels and can be used in multiple ways. 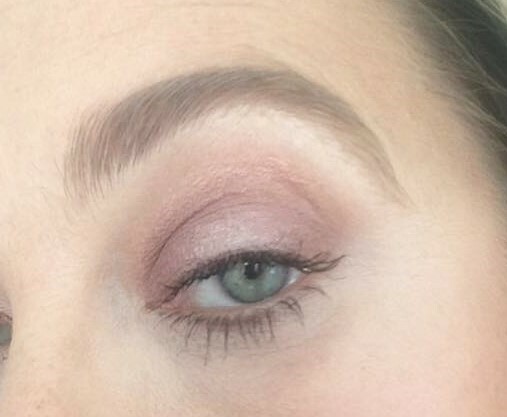 Passport to Pretty Face*Eyes*Cheeks – This beautifully pretty pink palette really does contain the most amazing selection of Face eyes and cheeks colours, and I am also going to show you a cheeky little lip colour trick you can do too. Included in this palette is a great sized mirror which is absolutely perfect to see your whole face in. 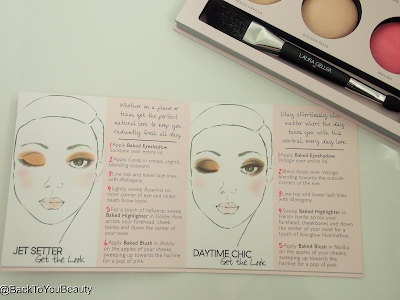 It also includes a double ended brush suitable for shadows, highlighter and blush, so you are good to go. You get ten long wearing baked formula eye shadows, Two baked highlighters and a baked blush. In case you are unaware of the baked formula, these products actually start as liquid pigments which are then baked for 24 hours on terracotta pans. This means they do not contain any horrible fillers or binders and are just pure pigment. They feel so creamy when you apply them and are fabulous for blending and creating so many pretty looks from day through to evening. What I love about these formulas is that you can also use them wet to really intensify the colour and get a real pop which is also great for eyeliner. They contain antioxidants vitamin E and white tea extract so your skin, will not look or feel dry during and after use. The shades included are so pretty for summer and for me I would use every single one, I also think these would suit all skin colours and all ages as you can use them as a wash of colour or wet to intensify. Included in this collection are also two gorgeous highlighters in shades French Vanilla and Golden Rose. French Vanilla I have been using for…. easily….10 years I want to say? Has it been out that long? Anyway, it just goes to show how long that beautiful, sheer, light beige has been around. I use it mainly as a under brow highlighter and above my cheek bones but you can use it anywhere you would like your features to stand out, and make them more defined. The Golden Rose highlight really is a beautiful soft golden shade, that has a hint of rose when the light catches it, so feminine and so pretty. Finally a vibrant pop of pink blush in the shade Malibu. Do not be afraid of this bright pink as it really is so easy to use it as a light wash or a more vibrant hit of colour, this also makes a beautiful eyeshadow! The whole collection also comes with a care cared that has easy-to-follow instructions on where to place the products. Whether you are a young, teenage beginner or a more mature, advanced make up wearer, this collection is flattering, easy to use and will last forever! If you are going to a summer wedding, Prom, baby shower or BBQ there is a shade to suit. If you are having evening drinks or a meal you can easily top up your lighter shade with a darker one and transform from day tonight. This really is a palette for all events. I can highly recommend this collection. 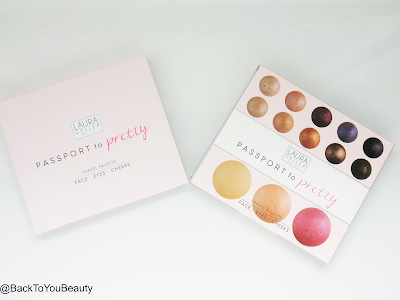 This particular Passport to Pretty collection is not available on the high street but can be purchased from QVCUK HERE. Please note I never airbrush or Photoshop so you will see my wrinkles and all!! "The Aromatherapy Associates product helping with my Insomnia!" 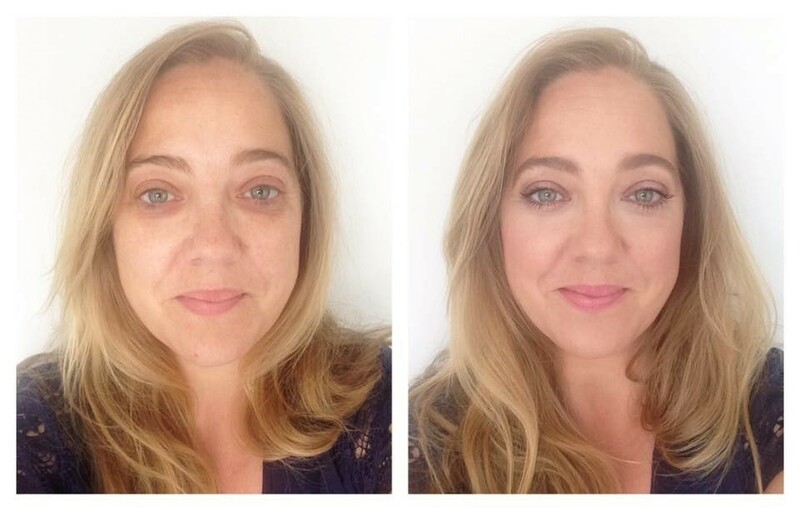 Beautiful palette!Thanks for posting the before and after, it really shows off the colors so readers can decide on it, too.